Formerly known as the East Coast Canoe and Kayak Festival, this event features one of the country’s premier showcases of canoeing, kayaking and stand up paddleboarding. In 2013, the 23rd annual festival expanded to include a multitude of popular outdoor recreation activities in addition to paddling, such as mountain biking, slack lining, archery, climbing, and disc golf. The East Coast Paddlesports and Outdoor festival will bring together enthusiasts of all ages and experience levels with world-renowned instructors and equipment manufacturers. Attendees can try out equipment, compete in races and other hands-on activities on site, and learn everything from the basics to expert skills in each sport. After getting their fill of outdoor excitement, festival-goers can stay to enjoy tasty fare from food vendors on site at the park, enjoy a beverage, and listen to live music. On Friday evening, stop by the park for live music from popular Charleston band Sol Driven Train. 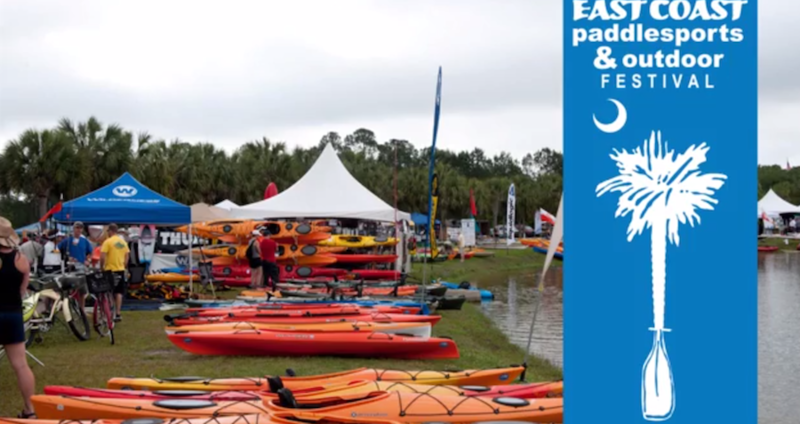 Anyone who enjoys being active outdoors will find something exciting at the East Coast Paddlesports and Outdoor Festival, running all day Friday, April 11, through Sunday, April 13, at James Island County Park. Park admission starts at $1 per person. To try out activities, get the Try It pass for $10. Or, register for a full-day or full-weekend pass to experience all of the classes, demos and much more. Visit the Charleston County Park & Recreation Commission website for more information. Next ArticleDear Doc: Does sushi contain parasites?